Selma Lagerlof (1858 – 1940) was born in Ostra Emterwik, Vtirmland, Sweden. She was brought up on Marbacka, the family estate, which she did not leave until 1881 when she went to a teachers’ college in Stockholm. In 1885 she became a teacher at the girls’ secondary school in Landskrona. She had been writing poetry ever since she was a child, but she did not publish anything until 1890. Her stories have been translated into many languages. A universal theme runs through all of them, a belief that one can awaken the innate goodness in a human being through love. “The Rattrap” written by Selma Lagerlof is a short story about an old, disillusioned peddler and thief who is taken in and shown generosity by a young woman. Her kindness changes his bitter attitude toward life. ‘The Rattrap’ provides a glimpse into human nature. It emphasises the fact that everybody has essential goodness deep inside which can be awakened through love and understanding. The story highlights the fact that there is essential goodness in every human being. At times due to circumstances and situation, a person kills his conscience but the same man, when bestowed with love and affection, exhibits a totally different side of his character. Selma Lagerlof gives a very apt and logical title to the story. The metaphor of the rat trap is very effectively used. The whole world is nothing but a big rat trap. All riches, joys, food and shelter are just baits. The moment anyone touches the bait, the rattrap closes in on him. Then everything comes to an end. In the story, the author Selma Lagerlof conveys a definite message. The story has a universal appeal. The essential goodness in a human being never dies. It can be awakened through understanding and love. Miss Edla awakens the basic goodness of the peddler. He is transformed into a noble person in the end. Set amidst mines of Sweden, rich in iron ore – manner of a fairy tale. About the Tramp: sad and monotonous life, had sunken cheeks, eyes gleaming with hunger. Philosophical thought: the whole world is a rattrap-lures with riches, joys, shelter, food, heat & clothing exactly as rattrap offers cheese & pork-lures rat then closes in on him. Turning point in life: One dark evening-saw grey cottage & asked for shelter-welcomed by lonely owner-earlier crofter at Ramsjo ironworks, now had a cow-milked-earned about 30 corners-hung in leather bag, window frame, offered supper, tobacco, played cards, next morning tramp parted from crofter, half hour later returned, stole money, went to public highway. Entered the woods-confusing forest, felt trapped, exhausted, heard hammer strokes from the iron mill Ramsjo & took refuge, met master smith & helper who were unaware of his approach because of sounds of big bellow, waterfall, sharp wind & rain. Reaction: glanced indifferently & nodded a haughty consent without a single word. Prosperous man-on night inspection-saw tramp-mistook for Nils Olof (Captain Von Stahle)-persuaded to go to manor house-tramp declined offer-would be like throwing into lion’s den-tramp kept quiet on mistaken identity, expecting gentlemen to throw him some kroner. The owner sent Edla – his daughter: persuasive, not pretty, modest, compassionate, Edla could sense tramp was hiding/escaping, tramp gave in, accepted fur coat, offer to spend Christmas Eve with him, while riding had evil forbodings and repented. Hospitality, bathed, shaven, clean new clothes – owner realized mistaken identity, Tramp confessed – reacted angrily to the threat of calling sheriff – repeated his belief that the whole world was a rattrap, Edla persuaded father to let him stay, promised his Christmas cheer. Edla and father at church – heard about theft at crofter’s house returns dejected, find a package left by a tramp, confessed to making mistake, thanked daughter for giving second chance, returned stolen money + rattrap + letter, behave like real Captain, signs as Captain. Life is one big rattrap, if you take something wrongfully then you get trapped. By consequences of your actions, however, one deserves second chance to redeem himself. The story is told in the manner of a fairy late and starts with ‘once upon a time there was a poor man who sold rat-traps of wire’. His income from the traps was not enough. So he also begged and stole petty things at times. Once an idea struck him that the world was like a rat-trap full of temptations to trap men. Man is tempted by the baits of wealth, power like a rat is tempted by the cheese in a rat trap. The man selling rat-traps lived a poor life without enough food or proper shelter. So he looked upon the world like this in the light of his own sufferings. Once he took shelter in the house of a man who had been a crofter in Ramsjo Iron-Works. The man was without any family and lonely. He welcomed the peddler. The crofter was friendly and generous. He was offered supper and tobacco. They also played a game of cards told him about his life and showed him the thirty kroner that he kept near the window. The peddler stole the money and left. Initially, he was happy to get the money but very soon fearing detection, he avoided the highway. He then saw the forge of the Ramsjo Iron-Works and went there to spend the night near the forge. At that time, the iron-master, the owner of the factory, came in. The iron-master mistook him to be his old friend, Nils Olof, with whom he had served in the regiment. To help his friend who he perceived had fallen into bad days, he invited the peddler to his house. The peddler realized that the iron-master was making a mistake but he did not correct him in the hope that he might give him some money. He did not want to go to the ironmaster’s house as he feared that he might be detected. The iron-master sent his daughter when he failed to convince the peddler. The kind-hearted daughter of the iron-master, Edla Willmansson, was compassionate and loving. She suspected that the man might have committed some crime. But she ignored that and thought that the man, haunted by fear, must have lived a miserable life. She wanted to give him at least a night’s peace and security. She assured the peddler that in her house, he would be safe and he would be free to leave anytime. She persuaded him to be her guest on Christmas Eve. The genuine compassion Edla showed gave the man a sense of peace and security. He slept as if he wanted to make up for the sleepless nights he had spent throughout his life. The following morning, on Christmas Eve, the ironmaster and his daughter discussed how to help the peddler. The ironmaster planned to help him regain his health and also to assist him in finding a vocation for himself. The peddler was bathed, shaved and given a haircut. When he presented himself to his host. The ironmaster realised that it was not his comrade. He threatened to call the sheriff but Edla intervened. She persuaded her father to let him stay and not to chase away a person who had been promised good cheer by the ironmaster. The daughter gave him the suit that he was given to wear and she invited him next Christmas also and assured him of secrecy and security. The peddler was overwhelmed. The next morning, he left the manor house. But before leaving, he left the packet containing the thirty kroner of the crofter. He wrote a letter to Edla asking her to return the money to the crofter. He wrote that she had treated him with respect as if he were a real captain. She had treated him as a man and not as a thief. That genuine regard had induced him to be a better man and give up stealing. The genuine compassion and kindness of Edla changed the life of a thief and turned him into a better man. This story deals with a peddler who sells rattraps of wire that he begged for or had stolen. He is a vagabond, has no home to live in and many times no food to eat. Life is very difficult for him. One day an idea occurred to him that the entire world is a rat trap, and shelter, food, clothing, comforts and luxuries are like baits to entrap the people. This idea amused him and satisfied him as he was deprived of all these things. One winter evening the peddler was wandering and found a cottage by the roadside. In order to ask for the night shelter, he knocked at the door. He was surprised to get a warm welcome from the host. He was offered not only shelter but food and tobacco too. The crofter entertained him with the game of `majlis’ and shared with him the secret of his earning of thirty Kronor which he collected by selling mille. Next day when they both left the house, the peddler came back and stole the money. He decided to walk through the woods, instead of taking a road so as to avoid being caught. But as night fell, he lost his way in the forest. He was completely exhausted, hungry and cold. He then realised that he was probably walking around the same spot. At this point, he was reminded of the rat trap and began to feel that the dark forest with its trees, trunk and branches was like a rat trap in which he was caught, having been lured by the thirty kronor that he had stolen. Fortunately enough, the peddler heard the sound of hammer strokes from an iron mill. Following the sound, he reached ‘Ram* ironworks. He slept near the furnace, where the owner of the mill saw him and mistook him to be his old regimental comrade Nils Olof. He invited him to his house which he refused. But when the ironmaster’s daughter EdlaWillmansson came and persuaded him to come along with her at their home and spend the Christmas Eve with them, he agreed to the same. He would emerge polished as a captain. But, on the contrary, .when the tramp was given a bath and shaved next Pre miming. the ironmaster realised his mistake when he found that the peddler was not his old comrade. At this pointEdla allowed him to stay and spend the Christmas with them. next morning Edla and his father learnt in the church that a tramp had robbed a crofter and immediately apprehended that this was the same man. They thought that he would have taken away all their silver. But when they reached home, they found that nothing had been stolen. The tramp had already gone. He had left a rat trap as a Christmas present for Edla along with a note and thirty kroner. In his note, he had requested that the stolen money was to be returned to the rightful owner. He told Edla that having been treated with so much dignity and having had his status elevated to that of a captain, he felt that he could not embarrass them. He signed himself as Captain von Stahle. 10.What was the mistake made by the old man when the peddler was in his house? 12.What did the peddler realize when he walked and walked in the forest without coming to the end of the wood? 16. Who came to the iron-mill on a round of inspection? 20. Who was finally able to convince the peddler to go to the ironmaster’s house as a guest during Christmas? 24. What made the peddler agree to go with the girl? 29. What did the ironmaster feel when he saw the rattrap seller after he was well groomed by his valet? 35. What did the ironmaster’s daughter say when the peddler was about to leave? 38. Where did the ironmaster and his daughter learn that the peddler was a thief? 39. What did the package left for Edla contain? Q1. From where did the peddler get the idea of the world is a rat trap? Ans. The tramp went around selling small rattraps made of scrap wire. One day he was struck by the idea that the whole world was nothing but a big rat trap. It existed only to set baits for people. It offered riches and joys, shelter and food, heat and clothing in the same manner, as the rattrap offered cheese. As soon as someone let himself be tempted to touch the bait, it closed in on him and then everything came to an end. Q2. Why was he amused by this idea? Ans. His own life was sad and monotonous. He was a vagabond, lonely and isolated from me any family life. The world had treated him harshly. So it gave him some joy to think of the world this way. It became a pastime for him to think of people letting themselves being caught in the dangerous trap of others who were still circling around the bait. Q3. Did the rattrap maker expect the kind of hospitality that he received from the crofter? Ans. The peddler was surprised at the kind of hospitality that he received at the crofter’s home. He was invited inside with a smile and he was made to feel quite welcome instead of the usual hostile and sour faces that he met. He was served hot porridge for supper and the crofter shared his pipe tobacco with him. They also played a game of moulds. Thus the tramp was treated well by the crofter. Q4. What made the man think that he had fallen into a rat trap? Ans. After stealing the money from the crofter, the tramp turned into the forest. He wanted to avoid walking on the road. Confused and disoriented by the trees in the forest and the narrow twisting paths, he realized that he was lost. Tired and cold, he lay down in despair feeling that the forest had transformed into a rattrap. He felt guilty as if he was caught by the bait. Q5. Why did the ironmaster speak kindly to him and invite him home? Ans. The ironmaster made a mistake in recognizing the tramp. Due to his shabby appearance and the fading light near the furnace he thought the man to be his old regimental comrade, Captain Von Stahle. Thus he addressed him warmly and invited him home. Q6. Did the peddler respect the confidence reposed in him by the crofter? Ans. The peddler betrayed the trust that the crofter had on him by breaking the window pane and removing the thirty boners from the leather pouch. He had seen the crofter keeping the money in the pouch and hanging it on a nail near the window frame. Q7. What made the peddler think that he had indeed fallen into a rat trap? Ans. After having stolen thirty kroner from the crofter, the peddler realized that he could not walk on the public highway and so he turned off the road into the woods. It was a big and confusing forest and the paths twisted back and forth. He walked for a long time without coining to the end of the woods. He finally realized that he had been walking around in the same part of the forest. Recalling his thoughts about the world, and the rattrap he realized that he had let himself be fooled by a bait and had been caught. Q8. Why did the ironmaster speak kindly to the peddler and invite him home? Ans. The ironmaster walked closely up to the peddler and looked him over very carefully. Due to the uncertain reflection from the furnace, he mistook the man as his old regimental comrade Captain Von Stahle. He addressed the stranger as Nils Olof and invited him home to spend the Christmas with him and his daughter. Q9. Why did the peddler decline the invitation of the ironmaster? Ans. The peddler was aware of the fact that the ironmaster had extended an invitation to his comrade Captain Von Stahle. He also knew that after stealing the crofter’s money, he was at a risk of getting caught. So, he declined the invitation. Q10. What made the peddler accept Edla Willmansson’s invitation? Ans. Edla’s ability to persuade and convince the peddler to stay on, made him accept the invitation. She was compassionate and friendly. She asked him not to be afraid and assured him that he could go away freely after Christmas dinner. She begged him to join them for Christmas. Her sincerity and friendly nature made the peddler accept the invitation. Q11. What doubts did Edla have about the peddler? Ans. Just as Edla lifted the peddler’s hat he jumped up abruptly and seemed to be quite frightened. Her kind looks, her compassionate and friendly nature could not calm him. She perceived that it looked as if he had stolen something or had escaped from jail. Q12. When did the ironmaster realize his mistake? Ans. The ironmaster realized his mistake when he met the stranger the next morning. The valet had bathed him, cut his hair and shaved him. Moreover, he was dressed in a suit which belonged to the ironmaster. He wore a white shirt, a starched collar and whole shoes. When the ironmaster saw him in broad daylight it was impossible to mistake him for an old acquaintance. The ironmaster threatened to hand him over to the sheriff. Q13. How did the peddler defend himself against not having revealed his true identity? Ans. The peddler explained that he had made no pretensions regarding his true identity. He was not at fault. All along he had maintained that he was a poor trader. He had requested to be allowed to stay alone. He was willing to put on his rags again and go away. Q14. Why did Edla still entertain the peddler even after she knew the truth about him? Ans. Edla did not think it proper to chase away a human being whom they had invited to their house and promised Christmas cheer. She understood the reality of the peddler’s life and wanted him to enjoy a day with them. Hence she still entertained the peddler even after knowing the truth about him. Q15. Why was Edla happy to see the gift left by the peddler? Ans. Edla was happy to see the gift left by the peddler. It was a small rattrap in which lay three wrinkled ten kroner notes. There was also a letter written in a large jagged handwriting. It was a confession made by the peddler. He did not want to embarrass her in the Christmas season by his deeds. Q16. Why did the peddler sign himself as Captain Von Stable? Ans. The ironmaster had invited the peddler to his house mistaking him for Captain Von Stahle. He was welcomed there and looked after as a Captain, even after the reality became known. The peddler got a chance to redeem himself from his dishonest ways by acting as an honourable Captain. He did so by gifting Edla a small rattrap with three wrinkled ten kroner notes and a letter saying that he did not want her to be embarrassed in the Christmas season by a thief and he wanted to behave as if he were a real Captain. Q17. ‘The next day both men got up in good season’. Why? Who are the men and what did they do after getting up? Ans. The two men are the old crofter and the rattrap peddler. The crofter got up early in the morning to milk his cow. His guest also wanted to get up because the host was awake. Both left the cottage at the same time. The crofter locked the door and put the key in his pocket. Thereafter they both bade each other goodbye and went their own way. Q18. How did the peddler feel after robbing the crofter? Why did he discontinue walking on the public highway? Ans. The peddler after having stolen the money felt pleased with himself. Then he realized the danger of being caught by the police if he chose to go on the highway. Hence, he decided to continue his way through the dense woods to avoid getting caught. Q19. Why did the blacksmith fail to notice the entry of the peddler in the forge? Ans. The forge was a noisy place. The big bellows groaned and the burning coal made cracking sounds. The fire boy was shovelling charcoal into the furnace noisily. A waterfall roared outside. The sharp north wind made the rain strike the brick-tiled roof. Hence the blacksmith did not notice the peddler entering the forge. Q20. What two plans did the ironmaster reveal to his daughter at breakfast on Christmas Eve? How did the daughter react? Ans. The ironmaster firstly decided that the old regimental comrade (the peddler) had to gain some flesh on his bones. Then he must choose a different profession and not run around the country selling rattraps. The daughter reacted by saying that the previous night there was no indication to show that he had once been an educated man. Q21. Why was the crofter so talkative and friendly with the crofter? Ans. The crofter had no wife or child. His circumstances and temperament made him talkative and friendly with the peddler. He was lonely so he was happy to get someone to talk to. This made him generous with his confidences. Q22. Why did the crofter show the thirty kroner to the peddler? Ans. The crofter had told the peddler that by supplying coins milk to the creamery, he had received thirty kroner in payment. The peddler gives an expression of disbelief. In order to reassure the peddler, the crofter showed him the corners. Q23. What were the contents of the letter addressed to Miss Willmansson? Ans. The peddler did not want Edla to be embarrassed at the Christmas season with a thief. As she had been nice to him as if he were a captain, the former would be nice to her as if he were a real captain. He asked her to return the thirty kroners to the old crofter. The rattrap was a present from a rat who would have been caught in the world’s rattrap if he had not been raised to captain. It was in his capacity of a captain that he got power to clear himself. Ans. The peddler was poor and wore shabby ragged clothes. His cheeks were sunken and hunger shone in his eyes. He was tall, with a long grey beard and a bunch of rattraps dangling on his chest. Q25. The peddler thinks that the whole world is a rat trap. This view of life is true only of himself and of no one else in the story. Comment. Answer in about 120-150 words. Ans. The peddler doesn’t think kindly of the world and its people. For him, the world is a big rattrap to trap the people in. The luxuries of the world are the baits that tempt the people to get trapped. The world has been very unkind to him. So it gives him great pleasure to think ill of it. Ironically, he finds himself trapped like a rat when he steals the thirty kronor of the credulous crofter. Subsequently, it leads him to Edla’s home where he receives nothing except kindness. It is true that this bitter view of the world is his own subjective one. In fact, the world has no dearth of genuinely kind people like the crofter, Edla and even the ironmaster. All treat him kindly. Edla believes in compassion and Christian values and eventually touches the goodness in him and helped him see the world in a positive light. 26. Who was the owner of Ramsjoironmill? Why did he visit the mill at night? Who was the owner of the ironworks and what sort of person was he? Ans. The owner of the Ramsjo iron mill was a prominent ironmaster who wanted to ship out good iron to the market. He was very hardworking and supervised his work day and night. 27. How did the ironmaster react to seeing the stranger lying close to the furnace? Ans. When the ironmaster saw the stranger lying close to the furnace, he mistook him to be his old acquaintance Nils Olof, his regimental comrade. He invited him to his home to celebrate Christmas. 28. Why didn’t the stranger tell the ironmaster that he was not Nils Olof? Ans. The ironmaster mistook the peddler to be his old acquaintance called Nils Olof. The tramp, however, did not tell the ironmaster that he was not Nils Olof because he thought that it might be profitable. He expected that the ironmaster would give him a few honour taking him to be his old friend. 29. Why did peddler derive pleasure from his idea of the world as a rat trap? Ans. The peddler developed an idea that the world is a rat trap. It offers food, shelter, clothing and luxuries just to entrap us in the same way in which the rattrap entrapped its victims through cheese and pork. The idea appealed and pleased him as he was in a state of abject poverty and had nothing and used to envy those who were in a better position than him. 30. What was the content of the letter written to Edla by the peddler? What were the contents of the package left by the peddler as a Christmas gift for Edla? Ans. The peddler left behind a packet for Edla. The packet contained a rattrap—a gift for Edla on Christmas. There were a letter and thirty kronor. In his letter, he thanked Edla for her kindness and hospitality and had repented his guilt of stealing old crofter’s money and requested her to return the same to the rightful owner. 31. What conclusion did the ironmaster reach when he heard that the crofter had been rubbed by the peddler? Ans.When, at the church, the ironmaster heard that the crofter had been robbed by the peddlers at once concluded that the peddler was a thief. He apprehended that he would have made away with all their silver, by this time. 32. Why did Edla plead with her father not to send the vagabond away? Ans. Edla was a kind-hearted lady. When she came to know the reality of the peddler, she shows her sympathy for him. She knew that he had no home or family. There was no place in the world where he was welcome. Due to her tender and kind nature, she pleaded with her father not to send the stranger away and allow him to stay at home for Christmas. 33. In what sense was the world a big rattrap, according to the peddler? Ans. According to the peddler, the world was a big rattrap as it offered shelter, food, clothing and other comforts for the sole purpose of entrapping us just as the rattrap entrapped its victims through cheese and pork in it. 34. Why did the peddler knock on the cottage by the roadside? How was he treated by the owner of the cottage? Ans. The peddler walked on the road the whole day. He was hungry and felt cold. The night was about to fall and he wanted to take shelter at some place to spend the night. That’s why he knocked on the cottage by the roadside. The crofter, who was the owner of the cottage, treated him with warmth, gave him food and shelter and treated him well. 35. What did Edla notice about the stranger? Ans. Edla noticed that the stranger was very scared. He seemed to be either a thief or a runaway away from prison. She also observed that the stranger did not seem to be an educated person to be a captain. 36. Why did Edla invite the peddler to stay with her family? Ans. Edla was told by her father, the ironmaster, to bring the peddler from the iron mill as he believed him to be his old acquaintances Nils 01-of. So Edla came to the mill to invite him to stay with her family and celebrate the Christmas with them. 37. Who was peddler? What was the thought that took hold of his fancy? Ans. The peddler was a poor vagabond who used to make rattraps to earn his living. One day while making the rattrap, a thought struck him that this world is a rat trap for all the people. Food, clothes and luxuries and comforts work as bait like cheese and pork. 38. Describe the evening that the peddler spent with the crofter. Ans. The peddler was offered warm hospitality at the crofter’s house that night. The crofter gave him food and shelter for the night. He offered him tobacco and played `majlis’ with him. He even shared his life’s experiences and secrets. He even showed him the thirty kronor that he had saved. 39. ‘The man was just as generous with his confidences as with his porridge and tobacco.’ What was the outcome of this? Ans. The crofter was over-generous to the peddler. He not only gave him food and shelter but shared his confidence and showed him the money that he had saved. This tempted the tramp to steal the money. Next morning when they both left the house together, the peddler came back and stole the money. 40. What were the precautions that the peddler took to remain undetected as a thief? Ans. In order to remain undetected as a thief, the peddler left the highway and took the mute of the forest. Ms’ He lost his way in the forest and after some time realised that he was moving around the same point. Moreover, when at the Ramsjo Ironworks, he was invited by the ironmaster to his home. He declined the invitation due to the fear of being caught. 41. Why was the peddler surprised when he knocked at the door of the cottage? Ans. The Peddler was surprised when he knocked at the door of the cottage and received a warm welcome there. He was not refused shelter. Moreover, he was offered warmth and hospitality. The crofter gave him food and tobacco. He played ‘mjtilis‘ with him and showed him the thirty kronor that he had earned. 42. Why did the peddler have to keep to the woods after leaving the cottage? How did’he feel? Ans. The peddler had stolen thirty kronor from the crofter’s house. The fear of being caught kept him away from the highway and made him take a route to the forest. But he lost his way in the forest and, after walking throughout the day, came back to the same point in the forest. He was dead tired and felt hungry and cold. He could not find the way out of the forest and so felt as if trapped. At this time, he felt he was caught in a rat trap, likened to a prison with no escape. 43. What were the peddler’s feelings as night fell in the woods? Ans. As the night fell, the peddler lost his way in the forest. He could not find his way out and realised that he was moving around the same point. He was extremely exhausted and hungry by this time and was feeling cold. At this point, he realised that he had been caught in a rat trap with no escape route. 44. Why did the blacksmith at Ramsjo Ironworks not pay any attention to the peddler? Ans. The blacksmith at Ram*, Ironworks did not pay any attention to the peddler because it was a routine thing for him. Many vagabonds used to come there attracted by the light in order to warm themselves at the forge. 45. Who did the ironmaster mistake the peddler to be? Why did the latter not reveal his identity? How did his true identity come to light? Ans. The ironmaster mistook the peddler to be his old acquaintance, Nils Olof, who was his regimental comrade. The tramp did not reveal his identity because he was scared of being caught. Moreover, he thought he might get some money from the ironmaster as his old acquaintance. When the ironmaster and his daughter went to church for Christmas service, they came to know that a vagabond had robbed the crofter. They apprehended that it was none other than the peddler. 46. What was the ironmaster’s reaction to the poor condition of the peddler? What light does it throw on the character of the ironmaster? Ans. When the ironmaster saw the peddler in the poor condition, he immediately asked him to come to his home. He had mistaken him to be his old regimental fellow Nils 01 off. He wanted to help him in his miserable condition. This shows he was compassionate, hospitable and trusting. 47. What were the peddler’s feelings as he drove over to the ironmaster’s house? Ans. The peddler had evil forebodings as he drove over to the ironmaster’s house. He regretted to have stolen crofter’s money and felt that he had been trapped and would be found out as a thief. 48. What was EdlaWillmansson’s assessment of the peddler? What rationale did her father give for the coarse ways of the peddler? Ans. EdlaWillmansson had her doubts about the peddler. She noticed that the peddler was very scared. She thought him to be either a thief or an escapee. She wondered how could her father’s regimental Comrade have nothing about him to show that he had once been an educated man. But her father said that the circumstances and his harsh experiences had made him like that. He believed that once he was treated nicely, given a bath and a shave, he would regain his original personality. 49. What was the peddler’s explanation to the ironmaster for withholding his true identity? How did be manage to convince the ironmaster not to bring in the law to sort out the matter? How did the peddler defend himself against not having revealed his true identity? Ans. The peddler said that he had never pretended to be someone other than a tramp. Moreover, he had refused to come to Ironmaster’s house and wanted to stay in the forge. When ironmaster threatened to call the sheriff, the tramp used his theory of rattrap. He said that if the ironmaster would treat him this way, he would also suffer a similar fate. 50. What was the sentiment that urged EdlaWillmansson to keep the peddler in their house despite knowing who he really was? Ans. Edla was a kind woman. She could realise how difficult a life the tramp must be living with no home or family. It was Christmas and she didn’t want to miss the opportunity to celebrate the spirit of Christmas, i.e. to be benevolent and do charity. So she thought of keeping the peddler at home to give him some comfort and happiness on the Christmas day. 51. What was the sentiment expressed by the tramp in the letter that he left for Edla? Why had he signed himself as Captain von Stahle? Ans. In his letter to Edla, the tramp had expressed his gratitude to her for treating him with dignity and respect. Her love and respect had brought out the goodness in him and saved him from being caught in the rattrap of the world. He requested her to return the money to its rightful owner. He signed the letter as Captain von Stahle as he had been raised to the status of a captain and had his dignity restored by Edla. 52. Who was a keen observer: the ironmaster or his daughter? 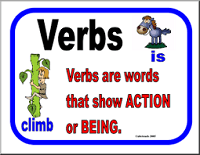 Substantiate your answer with an example from the text. Ans. It was EdlaWillmansson, ironmaster’s daughter, who was a keener observer than him. The ironmaster had mistaken the tramp for his old regimental comrade, but Edla had her doubts from the beginning. She could see the fear in his eyes. 53. The crofter can be called a “good host”. Why? Ans. The crofter exhibits all traits of a good host. He welcomes the tramp warmly. He offers him hot food, gives him tobacco to smoke and plays mojos with him. He talks to him in a friendly manner and tells him about his prosperity. He even confides in him and shows him his money. Q1. The Rattrap is a story where a good deed or an act of kindness changes a person’s view of the world. Discuss with reference to the theme. Ans. ‘The Rattrap’ is an entertaining and philosophical story that reveals the theme of the human tendency to redeem oneself from dishonest ways. The tramp proves the idea that the essential goodness of human beings can be awakened through understanding and love. Circumstances had forced the peddler to indulge in petty crimes. Even though he used to sell rattraps made from scrap metal, his poverty had brought out the worst in him, making him bitter and killing his conscience. The tramp’s view of the world was a cynical one: he envied those who were better off than him. He believed the world to be like a rat trap that offered temptations like shelter and food for entrapping victims. The peddler did not hesitate to steal money from the crofter even though he enjoyed his hospitality and warm welcome. Pangs of guilt troubled him when he lost his way in the forest. His bitter and hardened temperament received a chance for repentance when he encountered the ironmaster and his daughter. The author brings an effective twist in the story to show that innate goodness exists in all human beings. It takes a little love, understanding and an act of friendship to bring it to the fore. The iron master’s daughter showed him sympathy, honour and respect and gave him a sense of dignity. This touched a chord in the heart of the peddler who at once felt that he was no longer the nameless tramp that he had been all his life but somebody with an identity. He redeemed himself by returning the stolen money as he had felt motivated by Edla’s kindness. Q2. How has the author of ‘The Rattrap’ developed the theme of the story? Ans. The author, Selma Lagerlof has beautifully dwelt on the theme of The Rattrap’ and used the rattrap as a metaphor to develop the theme. Almost all human beings find it hard to resist the temptation of material goods or benefits and consciously fall into the trap. The world is a rattrap where human beings constantly fall prey to various baits kept for them. However, the author has brought across the idea that all human beings possess an essential goodness which can be tapped through love, compassion and understanding. An individual can redeem himself from dishonest ways if he makes an effort. The peddler of rattraps calls the world a big rat trap. The material benefits like riches and joys, shelter and food, heat and clothing are temptations that lure a person to fall into the rat trap. Once a person accepts the bait, he or she is trapped forever. The peddler gets tempted to steal the crofter’s money. He is too afraid to move about in the open, hence moves through the woods. Later, it is the kind, sympathetic and generous treatment given to him by Edla and her father that helps him get transformed and free himself of the guilt and mend his ways. The rattrap becomes a symbol of worldly temptations and the peddler symbolizes man’s efforts to escape them. Q3. The peddler believed that the whole world is a rat trap. How did he himself get caught in the same? Answer in about 120-150 words. Ans. The sad and poor life of the peddler makes him bitter. One day when he was thinking of his rattraps, suddenly he was struck by an idea that the whole world is nothing but a big rat trap. It just sets baits for people. The world offers riches, joys, shelter, food and clothing. They are just baits. As soon as anyone touches the bait, the rattrap closes in on him. Then everything comes to an end. Ironically, The peddler himself becomes the rat. The peddler can’t overcome the temptation of stealing the bait of 30 kronor of the hospitable crofter. Again the metaphor of the rattrap comes into his mind when the ironmaster invites him to his manor house. The peddler doesn’t want to go there. It means voluntarily throwing himself into the lion’s den. He surrenders when he is persuaded by Miss Willmansson to go there. Finally, the peddler feels released from the rat trap. It is due to the deep sympathy, kindness, love and understanding shown by Miss Willmansson towards him. He raises himself above petty temptations. He would have been trapped in the world’s rattrap if he had not been raised to a captain. That gave him the strength to come out of that trap. 4. How did the peddler feel after robbing the crofter? What course did he adopt and how did he react to the new situation? What does his reaction reveal? Ans. After robbing the crofter, the peddler felt guilty and, as a criminal, had a constant fear of being caught by the police. In order to escape, he decided to move through the woods rather than the public highway. Initially, he was pleased with his smartness but later, in the day, he lost his way in the forest He realised that he had been walking around the same part of the forest. At this point, he recalled his thoughts about the world and the rat trap and realised that he had let himself be fooled by a bait. He felt trapped and tried hard to come out of it but failed. He felt completely exhausted and believed that he would die in the forest due to hunger and extreme cold. This shows that he had realised his mistake of stealing the money of crofter. 5. How does the peddler respond to the hospitality shown to him by the crofter? Ans. The peddler was given warm hospitality by the crofter. He was given food, shelter, tobacco and even a good company for recreation. The crofter treated him with kindness and was very friendly to him. He narrated his story of survival and even showed him the money that he had saved. But the tramp did not value his kindness. Next morning after taking leave from the crofter, the peddler came back to his house and stole the thirty kronor from the pouch hung on the window frame by breaking the window. He responded in a very negative way to the hospitality of the crofter and violated the trust that the crofter had bestowed in him. 6. How did the seller of rattraps realise that he himself was caught up in a rattrap after he left the crofter’s cottage? Ans. After the peddler had robbed the crofter of the money, he left with the money in his pocket. He felt very pleased with his smartness. Then he decided to continue on the public highway and moved into the wood so that he could not be caught by the police. But after a few hours, he got confused in the forest and lost his way. After walking throughout the day, he realised that he had been walking around the same part of the forest. Now he recalled his thoughts about the world and the rat trap and realised that it was his turn to be caught in the trap. He felt that the entire forest was an impenetrable prison from which he could never escape. 7. The peddler declined the invitation of the ironmaster but accepted the one from Edla. Why? Why did the ironmaster invite the peddler to his home? Why did the latter decline it? Ans. When the ironmaster of the Ramsjo iron mill was on his nightly visit to the mill, he saw the peddler sleeping near the furnace. He mistook him to be his old regimental comrade Nils Olof. He found his old friend to be in a miserable condition and immediately invited him to his house. But the idea did not please the tramp. He was scared. He thought of going to the ironmaster’s house would be like throwing oneself voluntarily into the lion’s den. So he firmly refused the ironman’s persistent invitation. 8. The story ‘The Rattrap’ explores the idea that given the right motivation the human beings possess the innate tendency to redeem themselves from their dishonest ways. Discuss. Ans. In the story, ‘The Rattrap’, the peddler, a vagabond, who used to either sell rattraps made of wire or beg or steal. He had been very badly treated by the world and never received any kind of kindness. Even when the crofter offered him hospitality, and bestowed confidence in him, he was not able to realise its worth. He betrayed his trust and stole the crofter’s money. But the inner goodness of the peddler is evoked by the warm, gentle and kind treatment given to him by EdlaWillmansson. Despite knowing the reality, Edla treated him with respect and kindness with no selfish motives. She was empathetic and wanted to give him some comfort. This transformed the tramp into a sensitive human being and the essential goodness in him became dominant. 9. The story ‘The Rattrap’ exemplifies the notion that the emotional needs of human beings have a direct bearing on their behaviour. Elucidate. Ans.No doubt it is the emotional needs of the human beings that have a direct bearing on their behaviour. In fact, our emotions govern our actions and behaviour. In the story, all the characters depict the same. The peddler’s behaviour is all due to the atrocities he had faced in his life. He is treated badly. Starving and feeling cold, with no food and shelter, has made him emotionally very weak and negative. As a result, when the tramp saw the money of the crofter, he stole it. Similarly, the crofter being lonely with no wife or children, welcomed the peddler and became overfriendly with him and, as a result, was cheated. Even the ironmaster lived a lonely life. His wife is dead and his sons are abroad. He has no family except his daughter or friends. Consequently, he invited the peddler to his house, mistaking hull to be his old friend. Finally, it is Edla’s emotional need to serve and make someone happy on Christmas. Her kindness and empathy made her treat the tramp with respect and kindness which brought Out the goodness in the peddler. Q1. 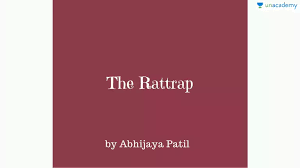 The Rattrap is a story which shows that basic human goodness can be brought out by understanding and love. Comment. Ans. The Rattrap is a story about an old disillusioned peddler and thief who is taken in and shown generosity by a young woman called Edla. The peddler was a poor man who begged and stole petty things at times. Edla’s compassion gave the peddler a sense of peace and security. It induced him to be a better man and give up petty thieving. The author shows how the essential goodness of a person never dies. It can be awakened through understanding and love. Edla awakened his basic goodness and the peddler returned the thirty kroner that he had stolen. Q2. The world is nothing but a trap of worldly baits. Discuss the essential values required by a person to overcome the temptations of life. Ans. The Rattrap is a story of a peddler who was also a petty thief. He sold rattraps and believed the world to be like a rat trap that offered temptations like food and shelter for entrapping victims. He did not hesitate to steal the money from the crofter even though he enjoyed his hospitality. We all find it difficult to resist the temptation of material goods and fall into the trap. However human beings possess essential goodness which can be awakened through love, compassion and respect. An individual can redeem himself from dishonest ways if he makes an effort. 3. The peddler’s instance speaks on a general level to the entire society, urging for a different outlook towards those maligned individuals who can be redeemed by compassion and understanding. The rehabilitation programmes at prisons follow the same value. In the light of the instance mentions above, how do you think society can help individuals, especially juvenile delinquents, from falling prey to petty crimes and bad habits? Ans. Human behaviour is in direct proportion to the emotional needs. In fact, nobody is a born criminal. It is the circumstances and the situation which force a child into crime. Juvenile delinquents are basically victims of emotional wreckages. They are the ones who are ignored or exploited. In order to stop the increasing participation of juveniles in the crime, it is the society which has to play a pivotal role. If these children are treated with compassion and love, then they can be saved. The society needs to develop an understanding of human nature that it is only due to the lack of the fulfilment of the emotional needs of a person, that he/she gets attracted to bad habits or crimes. We have to be empathetic and show our concern for our fellow beings with a sympathetic attitude for those who have deviated from the right path. With positivity and love, people, especially juvenile delinquents, can be saved from falling prey to petty crimes and bad habits. 4. The story ‘Rattrap’ describes the effect of generosity and kindness of the crofter and EdlaWillmanssoo on the peddler. There are so many underprivileged in our society who could be benefited by little gifts that can be given by the people. The gifts can be anything from funds, time to contribute to providing them with education, etc. Write an article in 100-150 words, about the need to lend a helping hand to uplift the underprivileged of the society. We all belong to a fast developing society. Technical advancements have made life comfortable and easy for us. But all these facilities are only for those who can afford. There are a number of people who are not able to even get the basic amenities of life. They are devoid of education, clean water, proper clothes and even meals two times a day. The government makes a lot of plans for these poor people but they reach them in a meagre proportion. It is said that a small step finally leads to the destination. So it is the duty of each and every privileged person of the society to contribute to the uplift of these downtrodden people. A small help can make their future better. We can contribute to making someone learn, getting someone medicine, giving our used clothes and books to those who are homeless and live on the streets. These small acts of kindness will definitely bring a smile on the face of these people. Along with that, we give them moral support. Thus in order to change society, we need to first change ourselves.